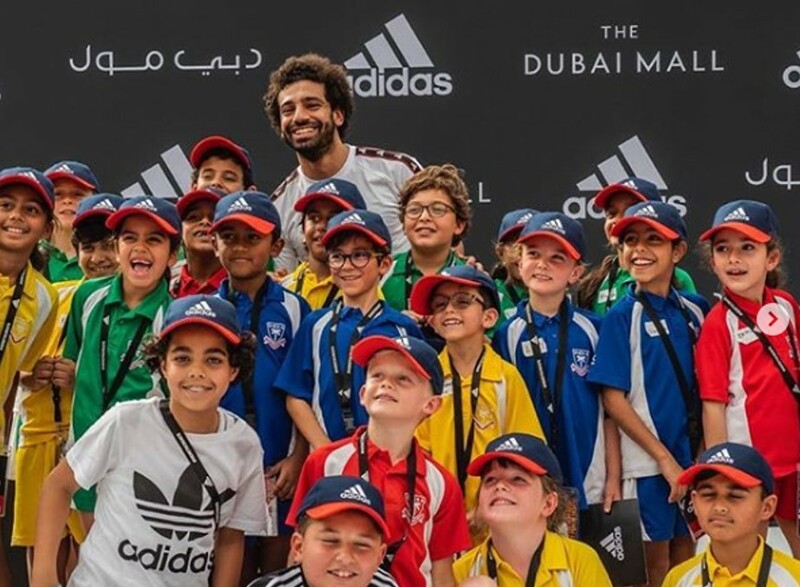 Dubai: Egyptian professional footballer and Adidas ambassador, Mohammad Salah, met with schoolchildren from Dubai-based DES School; he held an hour-long question-and-answer session with them at Dubai Mall. Salah was asked a range of questions, some football related and others more light-hearted. “What were your favourite and worst subjects in school?” he was asked. “I didn’t have a favourite subject in school so I’m glad I know how to play football,” he replied with a laugh. The children aged between 7-10 years old, hailing from all over the world, including Salah’s home country of Egypt, were delighted to meet the Liverpool star. Following the Q&A, Salah made an appearance at the Adidas Originals store at Dubai Mall to greet competition winners and fans, as well as enjoy a performance by local Abu Dhabi-based rapper, Freek with his own track ‘Mo Salah’.